In a war pitting brother against brother, two sisters choose their own battle. Joseph and Thomas are fresh recruits for the Confederate Army, daring to join the wild fray that has become the seemingly endless Civil War, sharing everything with their fellow soldiers—except the secret that would mean their undoing: they are sisters. Before the war, Joseph and Thomas were Josephine and Libby. But that bloodiest battle, Antietam, leaves Libby to find her husband, Arden, dead. She vows vengeance, dons Arden’s clothes, and sneaks off to enlist with the Stonewall Brigade, swearing to kill one Yankee for every year of his too-short life. Desperate to protect her grief-crazed sister, Josephine insists on joining her. Surrounded by flying bullets, deprivation, and illness, the sisters are found by other dangers: Libby is hurtling toward madness, haunted and urged on by her husband’s ghost; Josephine is falling in love with a fellow soldier. She lives in fear both of revealing their disguise and of losing her first love before she can make her heart known to him. BECKY HEPINSTALL grew up outside of Houston, Texas. She holds a degree in History from the University of Texas in Austin, and currently resides in Virginia Beach, Virginia with her husband, a Navy fighter pilot, and their four children. KATHY HEPINSTALL grew up outside of Houston, Texas and graduated from the University of Texas in Austin. 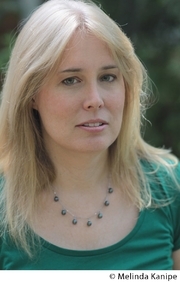 Kathy is the best selling author of The House of Gentle Men, The Absence of Nectar and Blue Asylum. She is an award-winning creative director and advertising writer. She currently resides in Santa Barbara, California with her husband. Can't make it to the event? You can order a signed, personalized copy of this book. We ship worldwide. Simply write "SIGNED COPY" and the name for the personalizations in the Comments field during checkout. Thank you for supporting Kathy & Becky Hepinstall and your local independent bookstore! Kathy Hepinstall's book Sisters of Shiloh was available from LibraryThing Early Reviewers. Kathy Hepinstall is currently considered a "single author." If one or more works are by a distinct, homonymous authors, go ahead and split the author. Kathy Hepinstall is composed of 3 names. You can examine and separate out names.